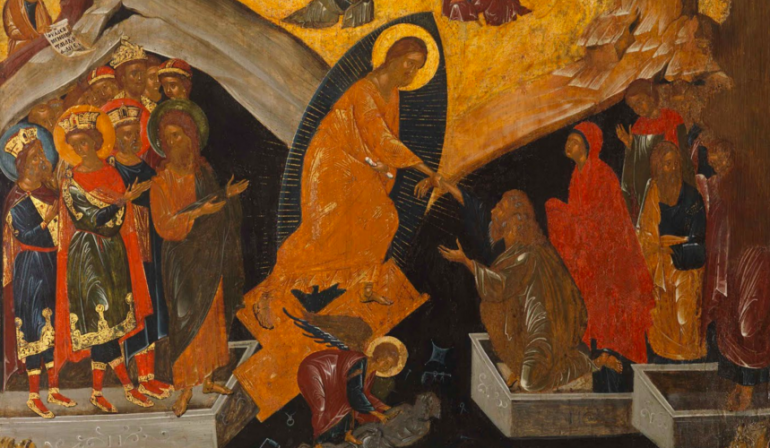 Sometimes, in our depictions of the resurrection, it seems like Jesus made a only few appearances to his disciples in just a day or so after the resurrection, and then he fairly quickly ascended into heaven. However, the Gospels and Acts tell us Jesus made numerous appearances to the disciples over a period of forty days after rising from the dead. Did you catch that: forty days. The disciples had experiences with the resurrected Jesus for over a month prior to the ascension. Notably, according to Luke, his message stayed the same: the Kingdom of God. Five hundred at one time? This is the only reference to that event anywhere in the New Testament. No other details are provided: who was in the crowd? where did it take place? for how long? I (and many others) would like to have the details of this event. Especially since it is important enough for Paul to mention in an authoritative list of appearances that he has received from others and handed on to the Corinthians. Fortunately, the New Testament does provide the details of several other appearances. Over the next few days I will post those passages for reflection.